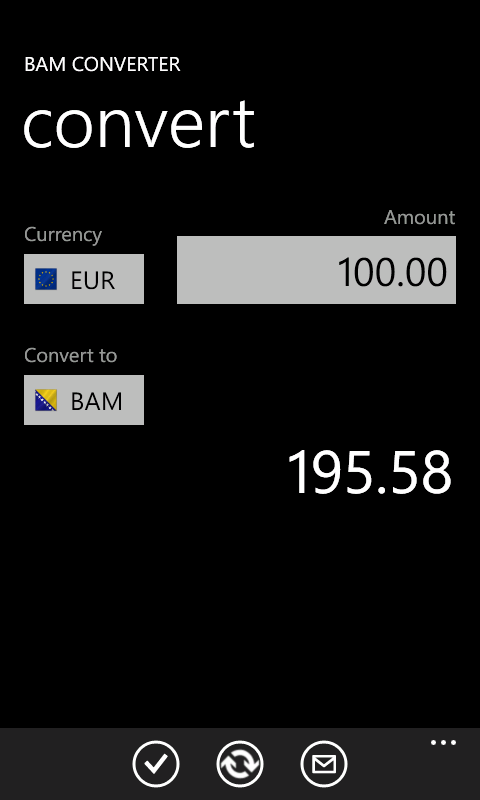 One of first applications in Windows Phone Marketplace is my app "BAM Converter". I wrote it during january 2011 as a small showcase for main development tasks on the platform. Application is completely open-source Source code is available to download from Codeplex, and application can be downloaded from Windows Phone Store. Support for Konvertibilna Marka - currency in Bosnia and Herzegovina. 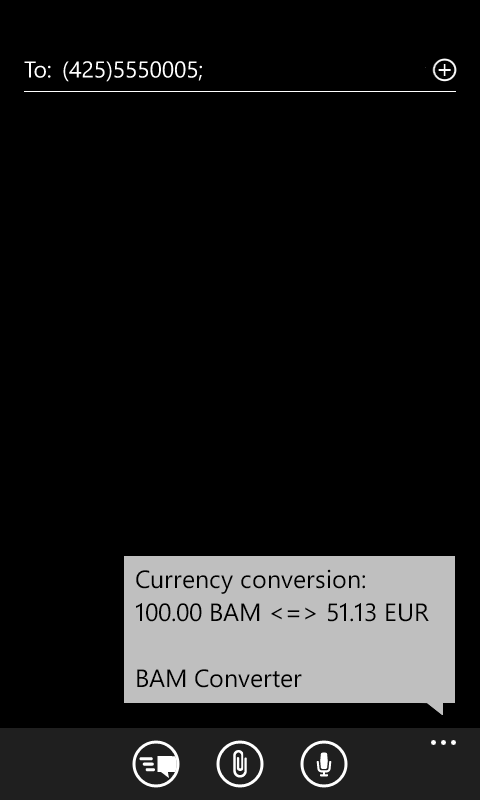 BAM Converter can work in fully offline mode. Users can manually add currencies to the list. 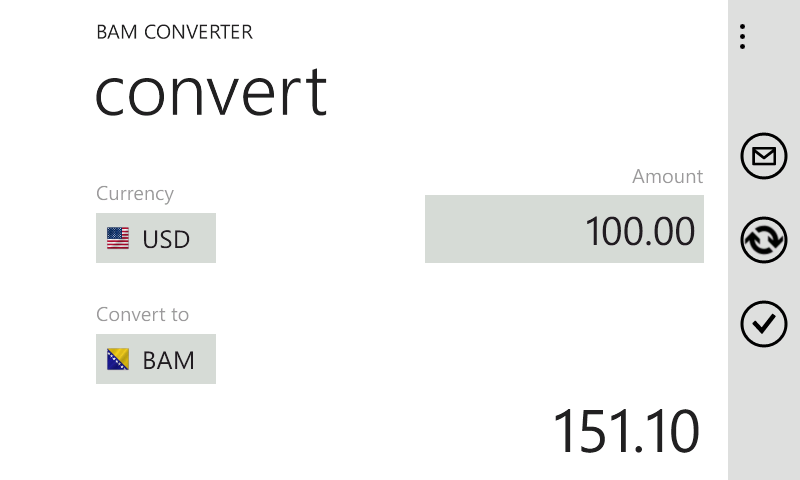 Users can send conversion results via SMS to their contacts - ideal for sending converted currency values to friends abroad.